Nashilu is an investor & writer, currently investing as an Associate at First Round Capital, one of the most active seed-stage venture funds in the country. Before joining First Round, she spent time with founders and investors across New York as an Investing Partner at First Round-backed Dorm Room Fund, Co-President at student-run startup advisors InSITE Fellows, and a Senior Management Associate at Bridgewater Associates. 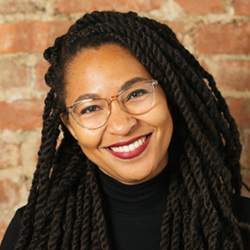 Nash earned her MBA at NYU Stern and her Bachelor at UC Berkeley, spending a number of years in the Bay Area working at the intersection of people and economic opportunity in international development, urban development and edtech.